Museum-lovers will appreciate Technik Museum Speyer and Ludwigsburg Residential Palace. Old Town and Castle of Hohenzollern will appeal to history buffs. Change things up with these side-trips from Tubingen: Dom St. Blasien (in Sankt Blasien), Teamwelt (in Hoechenschwand), Motorworld Region Stuttgart (in Boblingen), Ulmer Münster (in Ulm), Lichtenstein Castle (in Lichtenstein), Auto & Technik Museum (Automobile and Technology Museum) (in Sinsheim), Zeppelin Museum (in Friedrichshafen) and Speyer Cathedral (in Speyer). It doesn't end there: browse the different shops at OUTLETCITY METZINGEN and get a sense of history and politics at Tuebingen Rathaus. For traveler tips, reviews, photos, and tourist information, go to the Tubingen vacation builder. 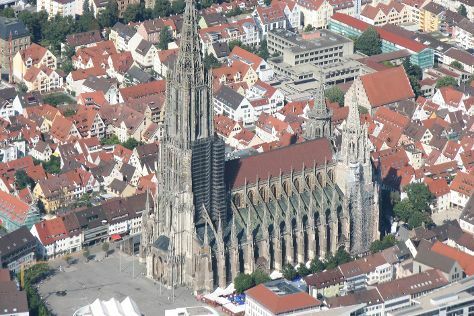 If you are flying in from United Kingdom, the closest major airports are Stuttgart Airport, Karlsruhe Baden-Baden Airport and Friedrichshafen Airport. In January, daytime highs in Tubingen are 5°C, while nighttime lows are 0°C. Wrap up your sightseeing on the 30th (Mon) to allow time to travel back home.